They are all expected to start shipping 3/31. Pre-Orders are being accepted now, so you can go ahead and get on the list to be the first to get these. Just follow the links I have included below and it will take you right to them. This is Canon’s newest step into the mirrorless market which means the M6 uses an electronic viewfinder and will not suffer from vibrations caused by the mirror moving out of the way while taking a shot… It also makes this a much more compact design than a DSLR (mirror type) camera body. The EOS M6 has a 24 Megapixel sensor with fast, accurate Dual Pixel CMOS Autofocus, High-speed Continuous Shooting at up to 7.0 fps (up to 9.0 fps with AF Lock), 1080p Full HD video which will record at up to 60p with stereo sound, IS with 5-axis Image Stabilization, with built-in Wi-Fi®** capability, NFC (Near Field Communication) capability, Bluetooth capability, remote shooting, and a 3.0 inch tilt LCS touch screen. All this in a compact lightweight size. The M6 does not appear to be a replacement for the M5 which was released only 5 months prior (9-15-2016). The biggest change from the M5 is the absence of the built-in electronic viewfinder, and along with that, a reduction in the physical size of the camera body. The M6 weighs 84 grams lighter than the M5, and the price is about $200 less. The body and the lenses are available in either black or silver. This would be a great option for a walk-around camera or one to carry on hikes so you don’t miss anything interesting but you don’t have to carry as much weight as you would with a DSLR system. Pre-Order one in Black from Adorama by clicking here or from Amazon by clicking here . Pre-Order one in Silver from Adorama by clicking here or from Amazon by clicking here . Pre-Order the Black one from Adorama by clicking here or from Amazon by clicking here . Pre-Order the Silver one from Adorama by clicking here or from Amazon by clicking here. Pre-Order it in Black from Adorama by clicking here or from Amazon by clicking here . Pre-Order it in Silver from Adorama by clicking here or from Amazon by clicking here. 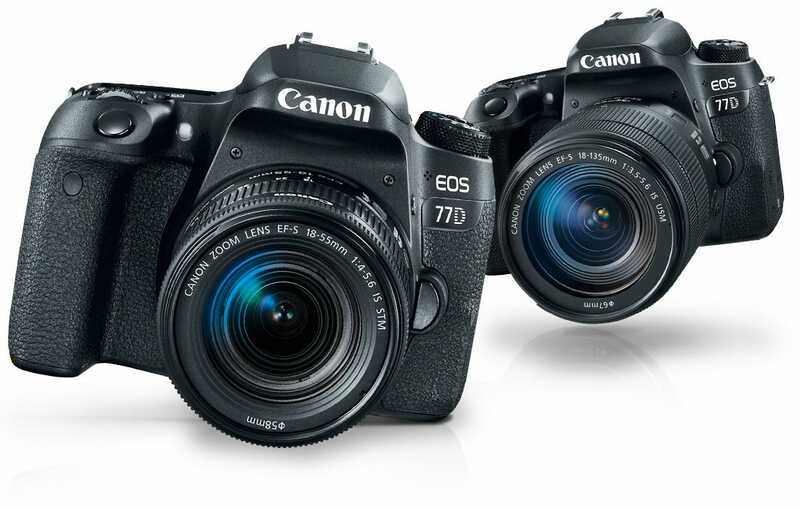 The EOS 77D Features an optical viewfinder with a 45-point all cross-type AF system1 and fast, accurate Dual Pixel CMOS AF with phase-detection, the EOS 77D camera helps you capture the action right as it happens. Extensive, customizable controls and brilliant image quality help you get the photo looking exactly how you want it. Capture vibrant colors and fine details with the 24.2 Megapixel CMOS (APS-C) Sensor. Without missing a beat, check and change your settings with the top-mounted LCD screen and rear Quick Control dial. When you’re satisfied with your results, built-in Wi-Fi2, NFC3 and Bluetooth4 technology lets you easily share your favorite photos and videos. Pre-Order one from Adorama by clicking here or at Amazon by clicking here . 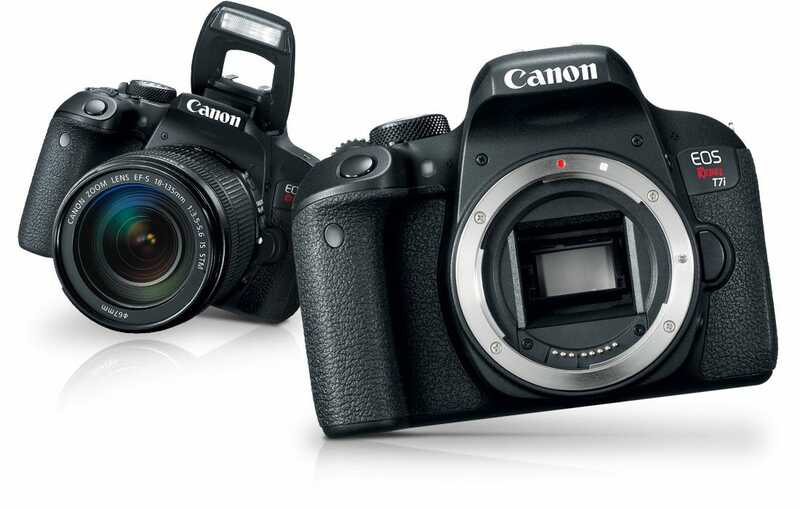 The Canon Rebel Rebel T7i is designed for new parents looking to capture milestones and daily life, older Rebel users ready for a newer camera, and smart phone users looking to step up to a real camera. 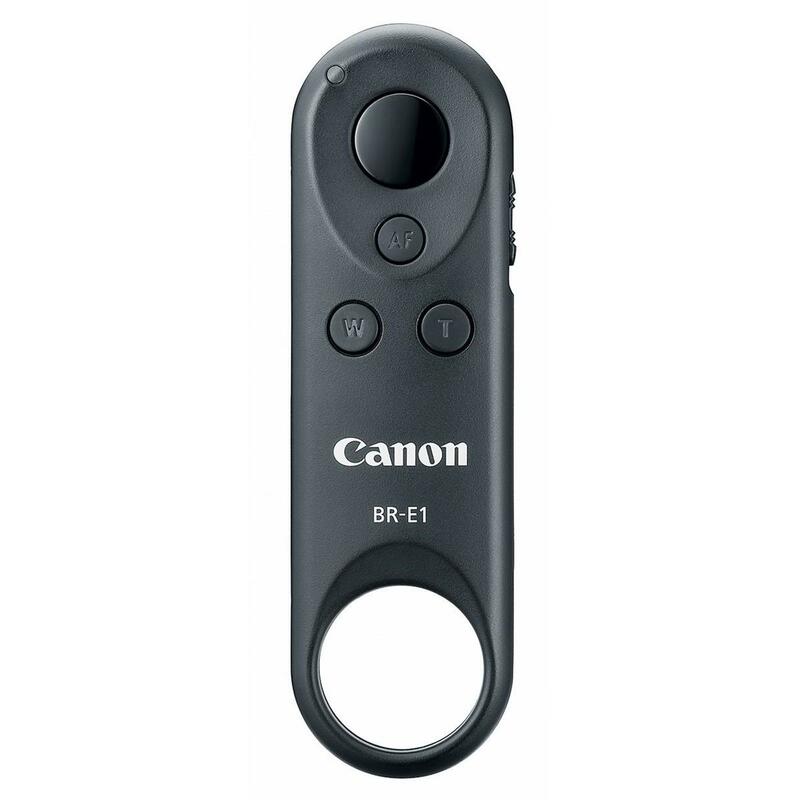 Although it has a full range of manual and automatic exposure controls, it is designed with the easiest, most intuitive controls and features most readily available. Pre-Order one at Adorama by clicking here or at Amazon by clicking here. Pre-Order one at Adorama by clicking here or at Amazon by clicking here . 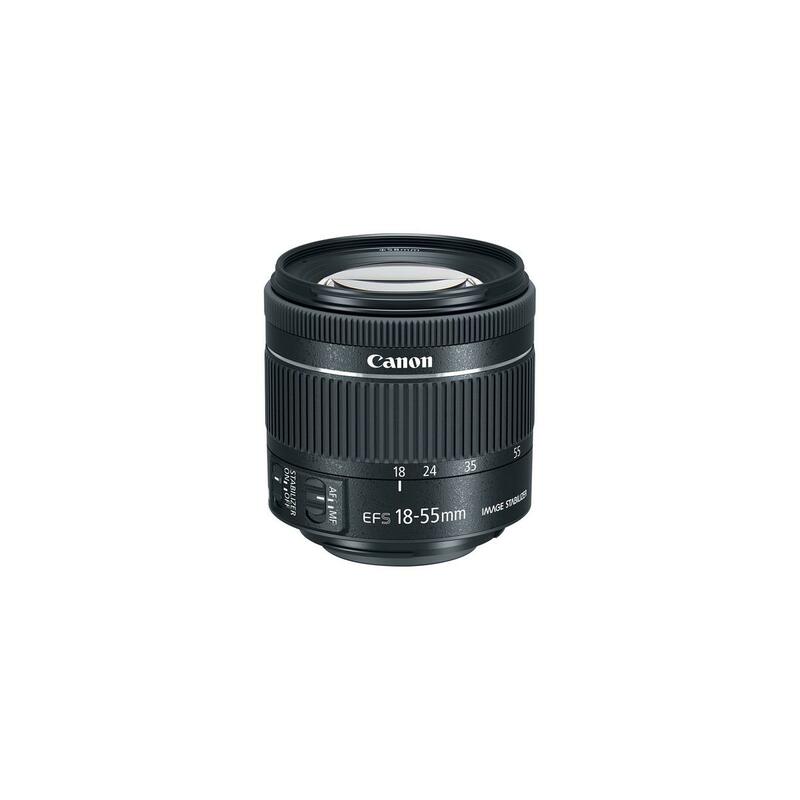 This compact, standard zoom lens has image stabilization at up to 4 stops of shake correction. Pre-Order one from Adorama by clicking here or from Amazon (currently $44.95) by clicking here . The EVC-DC2 for EOS M6 and will work with the EOS M3, PowerShot G1 X Mark II and the PowerShot G3 X. 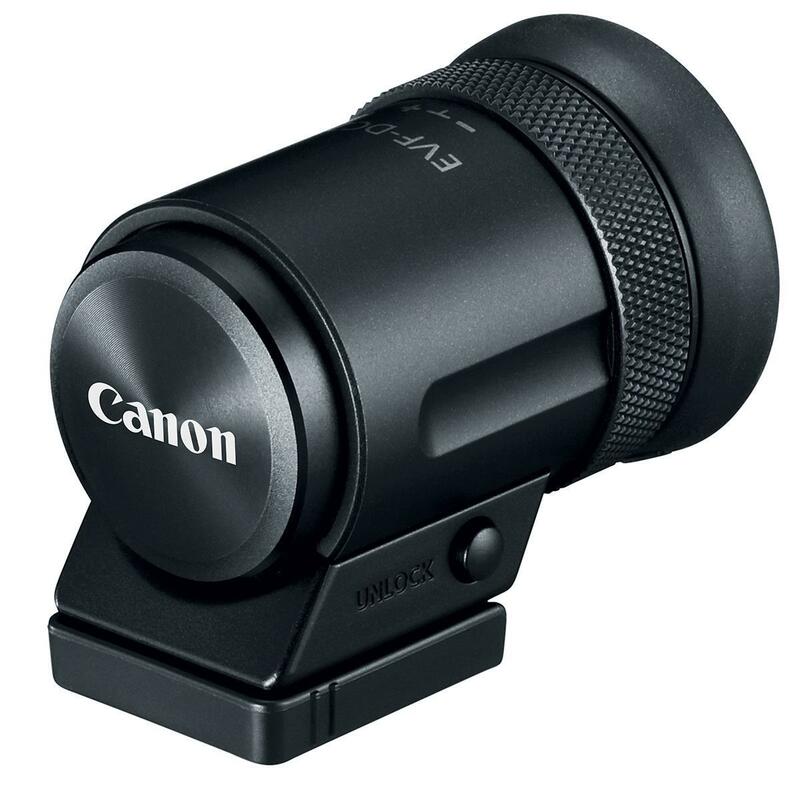 This cylindrical style optional electronic viewfinder has a dioptric adjustment ring on the outside. Attaches to the camera’s accessory shoe. Available in black and silver. 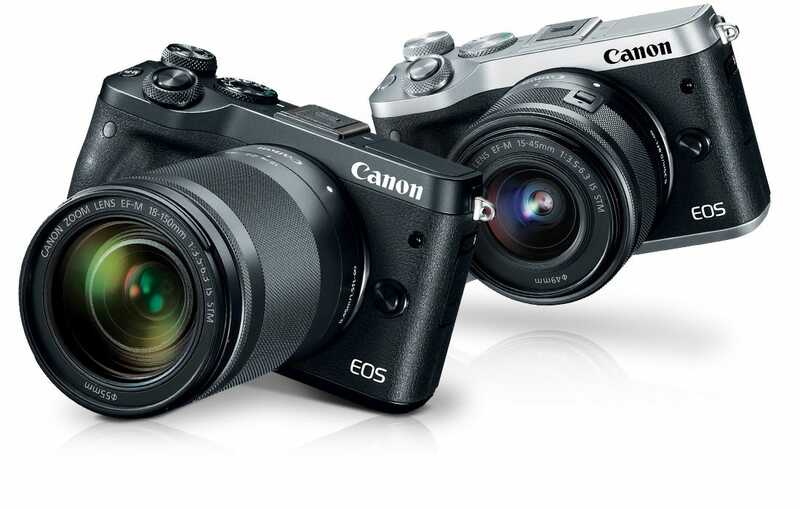 A firmware update is necessary for models other than the EOS M6. Pre-Order one in Black from Adorama by clicking here or from Amazon by clicking here. 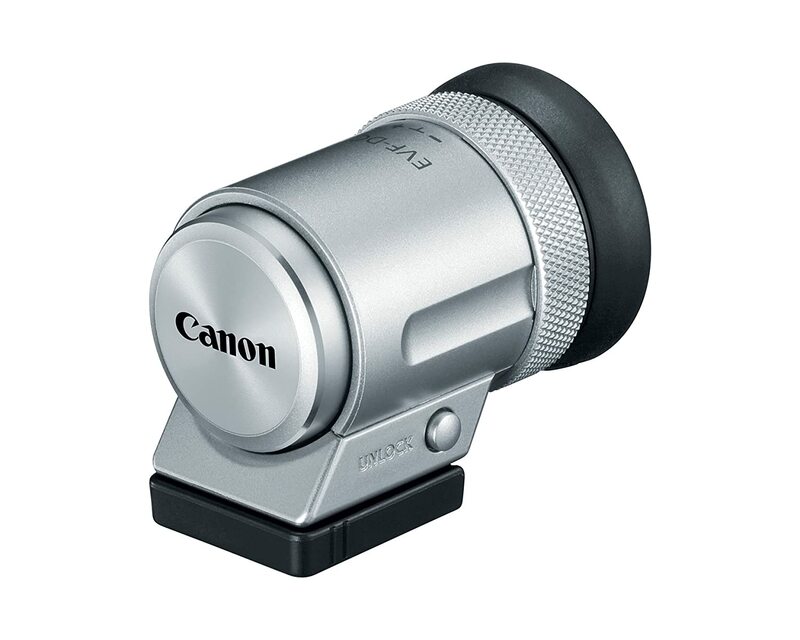 Pre-Order one in Silver from Adorama by clicking here or from Amazon by clicking here.